For your apps's success promoting your app is essiential. 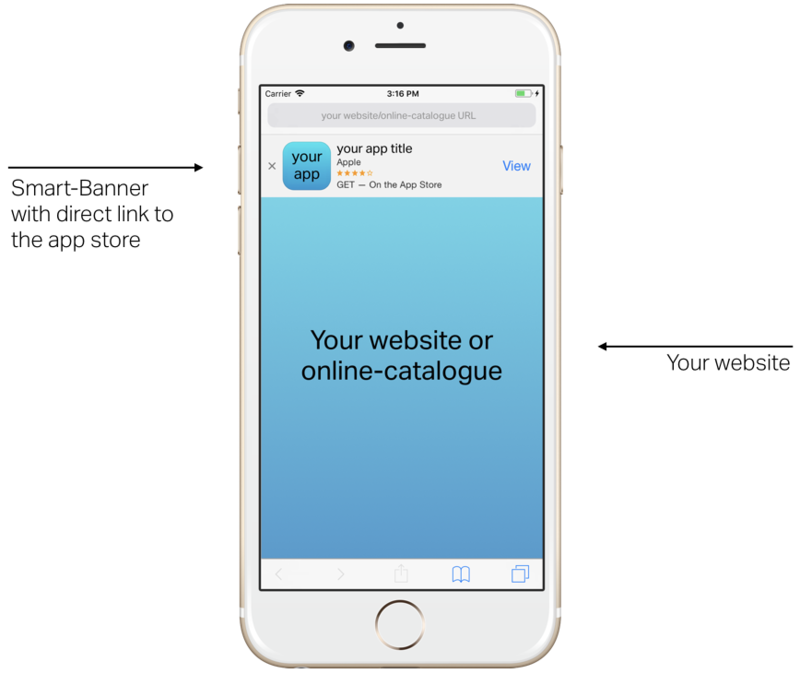 Highly recommanded and extremly effective as all persons visitng your website with an mobile iOS device (iPhone or iPad) are directly notified by a small banner on top of the safari browser window that an app is available for your event. Implementation is very easy and can be done in 5 minutes. INSIDE auto generates your smartbanner meta tag for you, to copy it in your clipboard got to: App Manager > Publication > Scroll to bottom of page. If possible include a visual of the app (ask INSIDE via Service Desk). Always include a link to the landing page. Very effective as most of your visitors are reached directly. Post repeatetly your app on your facebook page. Use the most important features as topics for several posts. Post repeatetly your app on your twitter account. INSIDE provides you with a print-ready file, just open a request on the Service Desk.